Once the winter rains in California subsided, our family wanted to ride our bikes more. Our current bike storage location is in the garage, but was inconvenient to get multiple bikes in and out of on a regular basis. Our large driveway/walkway on the side of our house seemed like a great location to store our bikes. However, we wanted to protect the bikes, both from the rain and the gaze of bike thieves. 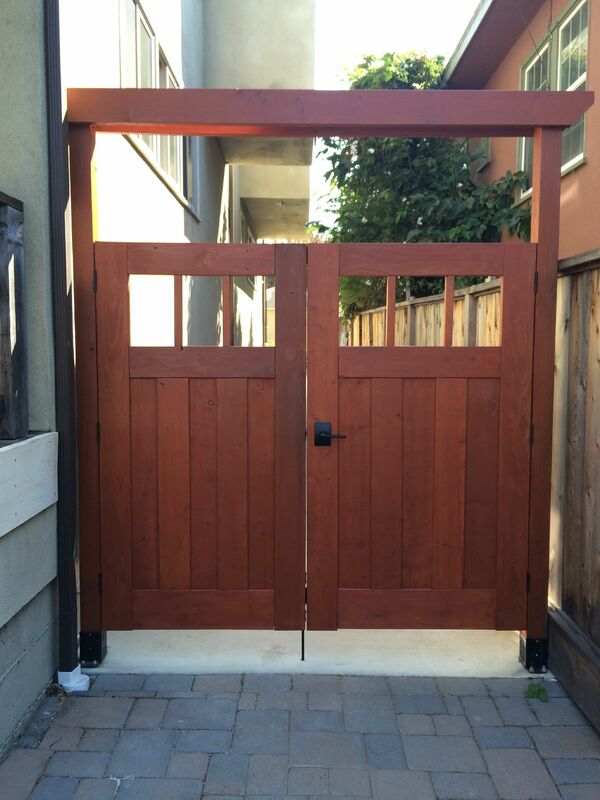 After the gate was built, the next steps are to hang it, install hardware and then stain/seal it. Here is the finished gate after all of these steps. We are very excited with how it turned out! Please check out the previous post to see how the gate was made. Chris has plans to build a nice gate, but that project probably won’t get done for a little while. So here we are “a little while” later and after some gentle nudging from Shirley, I (Chris) am finally going to make the gate. I had been planning for the gate for quite awhile, including figuring out the design and buying tools, so when it came time to actually build the gate, it didn’t take too much time at all. Overall, it took about 1 week or so (maybe ~20 hours of actual work) to build the gate. 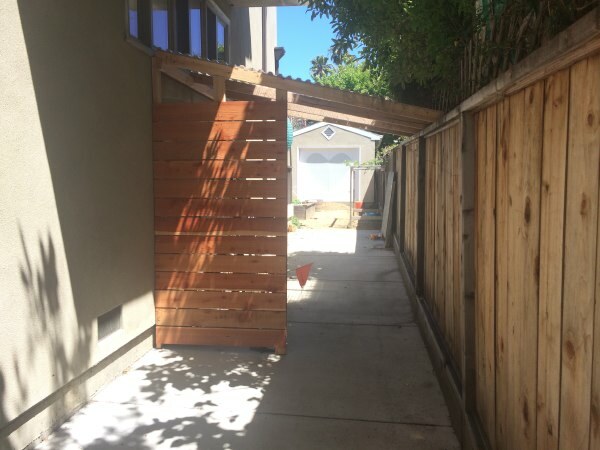 Here are the finished two gates that will span the narrow driveway, sitting on our back deck.